Cold Calling is when you call companies, business etc to enquire about possibly jobs or even accepting a copy of your CV for future references. This is a popular method to used and is suggested you use it by Training Companies/Work Programmes & Job Centres. It must be stated that some companies do not like this method as they have their procedures for hiring plus they can receive more than one call of this type during the week. Another negative is not everyone is comfortable with doing this approach, so if you do this make sure you are confident and know what to say beforehand. Speculative Letters/Emails is when you send companies, business etc letters enquiring about possible job opportunities while highlighting why your be a suitable person to work for them! You also include a copy of your CV. This is another popular method encouraged by Job Centres and Job Support Agencies (Work Programme). The negative to this aspect is it can cost a lot to post letters especially if you do not have the support of the Job Centre or Work Programme. Also, no access to a computer or printer is another negative. 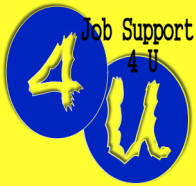 If you with Job Centre or on Work Programme, ask them for help and support. It is part of their work criteria meaning they should be doing it!!! Never send an hand written letter as it is not considered presentable and if you use this approach, make sure your letter/email is eye catching to grab the employers attention. As technology develops and households are gaining access to the internet it has become one of the most popular tools to use in searching for jobs. This allows a job seeker to apply for jobs, contact employers, look at more varied job opportunities and do research for interviews. There are a lot of job search websites plus companies who have their own websites advertise on these too. Gives a job seeker a more varied choice not only from your home town but including around the country! For people who not got access to the internet at home, there are other places you can go to use the internet for free e.g. libraries, job support clubs etc. If you do not know how to use internet or feel you need to learn more about using it, there are usually community groups or job support clubs that will help teach you. Some offer courses with certificates at the end which shows employers your willing to learn new skills. If you attend the Job Centre or on a Work Programme, ask them for help and support at finding such courses. Despite this method being very useful it also does have some negatives. New jobs can quickly become applied for so it is best to set up email alerts with job websites and check on on regular biases. If you have a smartphone or tablet device, download apps which will help you be notified of any new vaccines. Also, computers can be break down and can be costly to repair so make sure you make copies of everything like your CV etc or back ups onto a USB drive. Visit Employers will be a good method for only certain types of jobs though some would disagree! This method is highly recommended if you looking for retail work or even in the fast food industry/bar work. Go to the shop or business and enquire if they have any up coming positions and if not leave them a copy of your CV with your contact details. Always ask to speak to someone in charge as floor staff have no authority on hiring staff and if busy could even forget to pass your CV onto management. If you choose this method, try and strike up a good conversation to leave a good impression. Also, don't dress too casual, look smart but keep an informal look too. IMPRESSIONS COUNT!!! Not every business/shop advertises their vacancies due to costs so this is a worth while method for some! Job Fairs which are not very often but when they do happen is a great way to look at many different companies/businesses in one go and even to speak to employers or employees over what they do and want they offer. Some even conduct interview at the fair themselves so be ready for anything and be prepared. These fairs are usually advertised in newspapers, local council sites etc and if you with Job Centre of Work Programme ask them as they should know too!! The positive about Job Fairs are that you get to meet the employers/employees first hand and interact with them, gaining knowledge of how they operate and what they are looking for. It is an ideal place to network.....talk to as many companies/business as you can, make a good impression. Even discuss with other people at the job fair as it always good to talk to people in similar position as yourself. Also, they pass on a few tips to you which could be helpful e.g good stand to visit that taking on etc. It is a whole new experience and is ideal for boosting confidence and motivating oneself. Make a good impression and make sure to be dressed smart! Make full use of the fair, don't waste the chance. The negatives about Job Fairs are that the type of job you are looking for maybe not there but still no harm in trying and looking. They can also be very busy and crowded and to stand out from everyone can be hard especially if your confidence is low. There can be times when your standing in queues waiting to speak to a certain company which can affect people in a bad way. Be prepared for this! One of the biggest negatives is that not every business/company there is actually looking for workers now, it is best to find out which ones these are so not to waste your time. Keep your ears open and listen to others as word soon spreads at fairs over which ones they are! Friends & Family can be a good source at finding jobs before they become public knowledge!! Some could be working for companies that ask them do they know anyone suitable to work for them. Also, they could learn of an upcoming position. Ask them to keep you informed of any potential opportunities. Some companies and businesses which employ more than one family member may take another just on recommendation but this is rare these days.